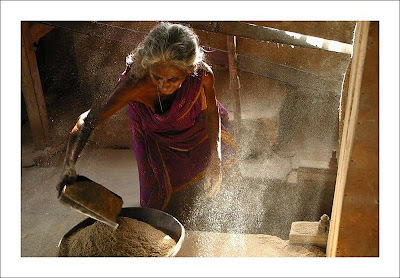 An older woman working in a rice mill a few kilometers of the nice town of Vaiteeswarankoil. The town is famous for all the astrologers, cards readers exercising there.. I Liked the light there..